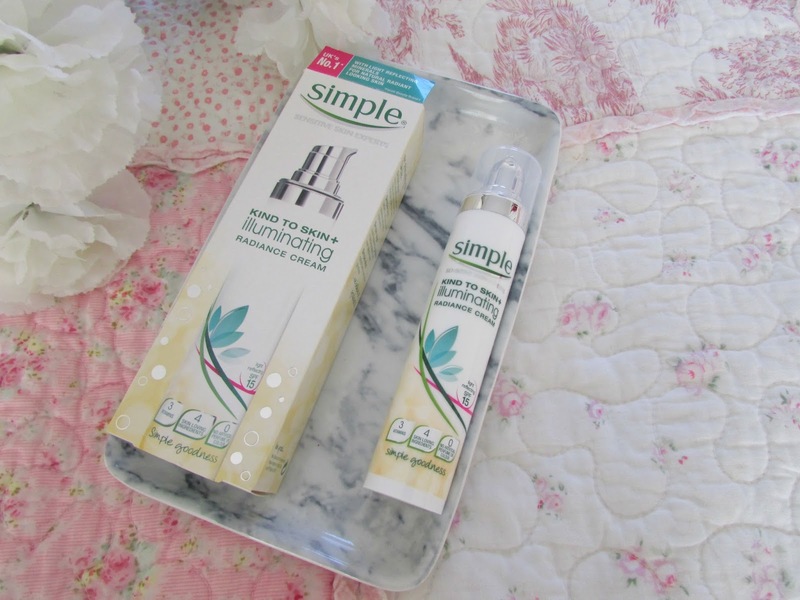 I'm a massive fan of Simple's skincare products. I find that they are one of the best most affordable brands there is. 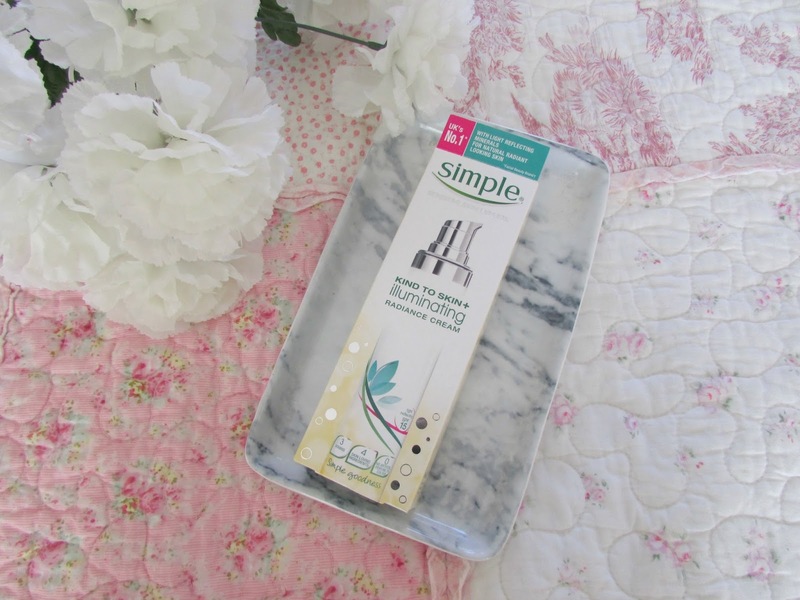 Simple are a beauty brand that have been around for a very long time. Since the 1960s the brand has made sure that they create products that will work for every skin type which I think is pretty amazing. One of their main mottos is to make sure that even if some women have very sensitive skin they will still be able to enjoy healthy looking and happy skin which I think is pretty amazing as most other brands will only base their products around dry or sensitive skin individually rather than together. When I was shopping for decent moisturisers to take away with me this definitely stuck out to me and I'm so glad I picked it! Since I've come back I've been a lot more confident and happy about my skin thanks to this little beauty and I think that is something that all woman should experience all the time. The first thing that I absolutely love about this product is the packaging. It comes in such a strong and study little tube with a pump which I'm sure you all know I absolutely love in beauty products. I think it's the perfect way to dispense the right amount of product as you never need to worry about wasting it. There is so much information about the product on the packaging as well which I always think is so important. Some beauty products never have labels on them or information and if you suddenly break out or something happens you can never really check to see what could have caused it. I think that is a major plus with this cream. Before I go on about what I love about the cream let me give you some information about what is inside the cream. If you are a vegan and are against animal testing then Simple is the brand for you as not only are their products approved for vegans but they also don't test on animals which is amazing. The cream contains 3 vitamins which are within the cream and are called Pro Vitamin B3, Vitamin A Palmitate and Vitamin E which is one of my favorite ingredients when it comes to skincare products. There are also 4 ingredients which are meant to be super beneficial for the skin and are Sweet Almond Oil, Sunflower Seed Oil, Bisabolol, and Ginger Root Extract. That's literally all that is in the cream. You don't need to worry about any artificial nastiness as there is none within the cream. Another thing that I love about this about this product are the ingredients contained in it. 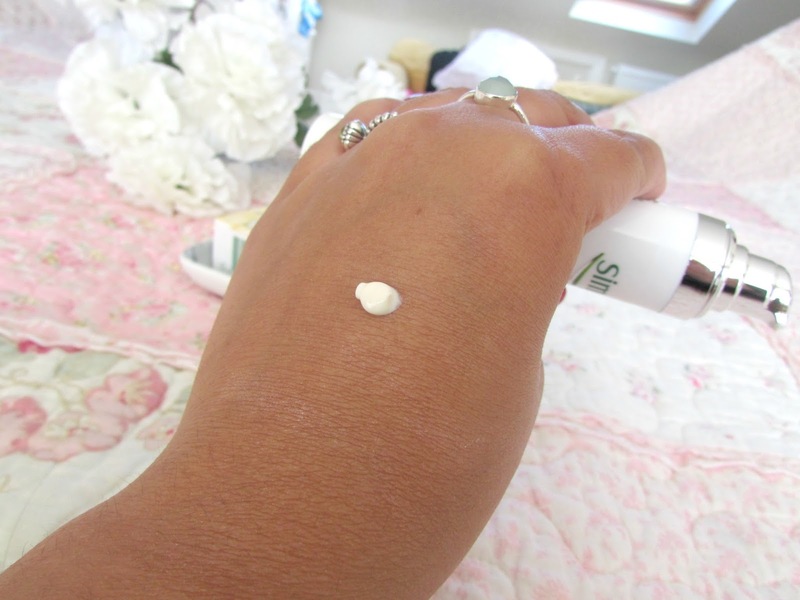 All the ingredients that are in this cream help give your skin instant radiance. I always seem to have dull and tired looking skin so to have something that actually makes it look healthy and makes me look wide awake is definitely a bonus in my books. It really works. I love the fact it has SPF in it as it means your skin is always protected from the sun. This was definitely something that was a major plus when I was on holiday. I love how a little goes a long way with this cream. All you need is the tiniest amount, around the pea size that is photographed above to go all over your face. The cream is very light weight which I find is perfect for using underneath foundations. I've been using it a lot under my make up for work since I've been back and I find it gives a more dewy look to make make up which I absolutely adore as I'm a huge lover of the dewy healthy glow look and this just enhances that a little bit more. If you are going on holiday soon or are looking for a moisturizer to use whilst you are away then this will be just for you as it contains SPF 15 that protects your skin from UVA and UVB. What more could you ask for really? In conclusion I absolutely love this. It's definitely the best moisturizer I've found in ages and I'm surprised I hadn't used it before I went on holiday. I'll definitely be repurchasing this and recommending it to all my family and friends. If you are interested in this product then I know boots are doing a 3 for 2 offer at the moment which is amazing or you can simply purchase it online for £6.59. It's definitely worth it! 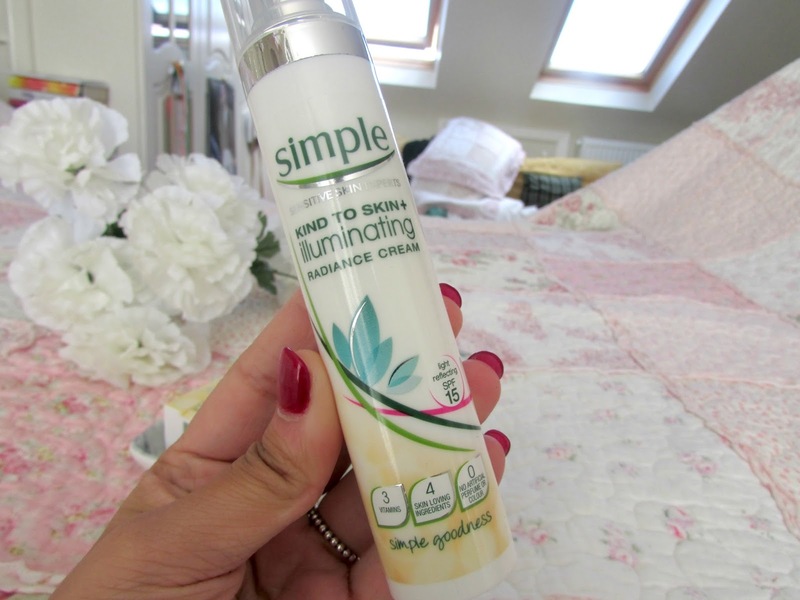 Have you tried this cream or any other products from the Simple Skincare Range?